Make the best LA Galbi (or kalbi), Korean BBQ short ribs, at home using my tried-and-tested recipe for the perfect galbi marinade. It’s best to grill the marinated beef short ribs over charcoal, but you can easily broil them in the oven too. Just in time for Labor Day weekend or end of summer grilling, I am updating my post for LA galbi (or kalbi, 갈비), grilled beef short ribs. This galbi recipe was originally posted on this blog back in August 2009. I decided to retake photos to update this time-tested recipe that I use all the time and everyone raves about. 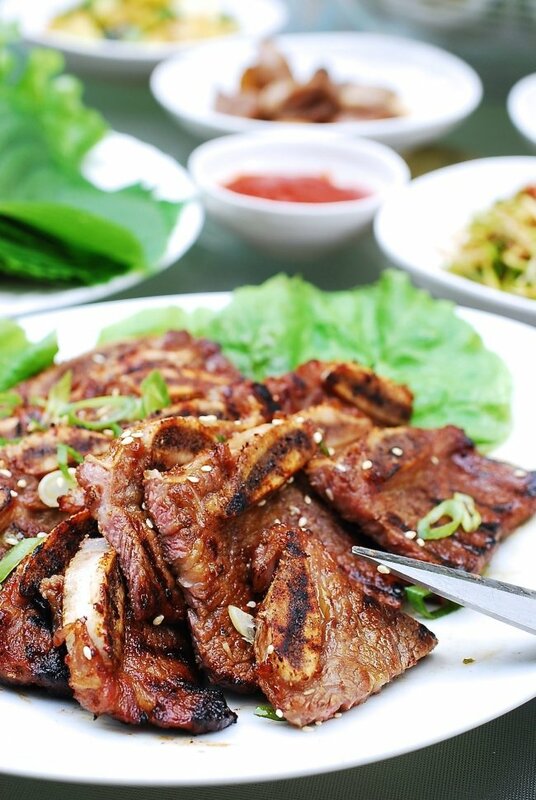 Marinated in a perfectly balanced sweet and savory sauce, the galbi meat will be tender and succulent while still being nicely browned and caramelized on the outside. As I previously explained in another galbi post, there are two different cuts for beef short ribs. The first one is the English cut, which is when the ribs are separated and cut into short lengths. The English cut is used for galbi jjim (braised) or butterflied for grilling. The second one is the flanken cut, which is when ribs are cut thin across the bones. 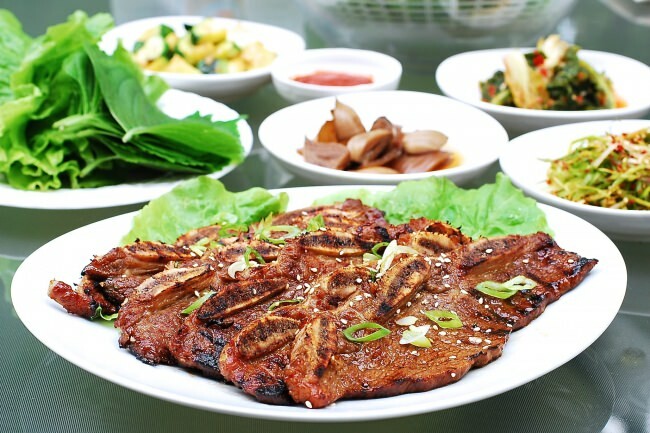 To Koreans, the flanken cut is also known as “LA galbi,” supposedly named after the city where early Korean immigrants started to use this cut to make galbi gui (grilled short ribs). These days, people use all sorts of things to tenderize short ribs, which are a tough cut of meat, including kiwi, pineapple, cola, etc. My favorite is Korean/Asian pear, which is a traditional ingredient used for galbi. Grated onion and alcohol, in the marinade, also tenderize the meat. These ribs have a smooth balance of sweet and savory flavors! If you cannot find Asian pears, use an apple instead. Some Korean chefs swear by kiwi or pineapple but you will have to make sure you don’t over-marinate the meat as these are very strong tenderizing agents. Don’t rush the marinating part! 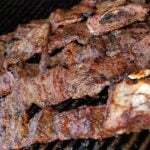 The meat should really marinate the meat for 6 – 8 hours, otherwise it will not be as tender and flavorful as is could be. The thicker the meat, the longer you’ll want to marinate. 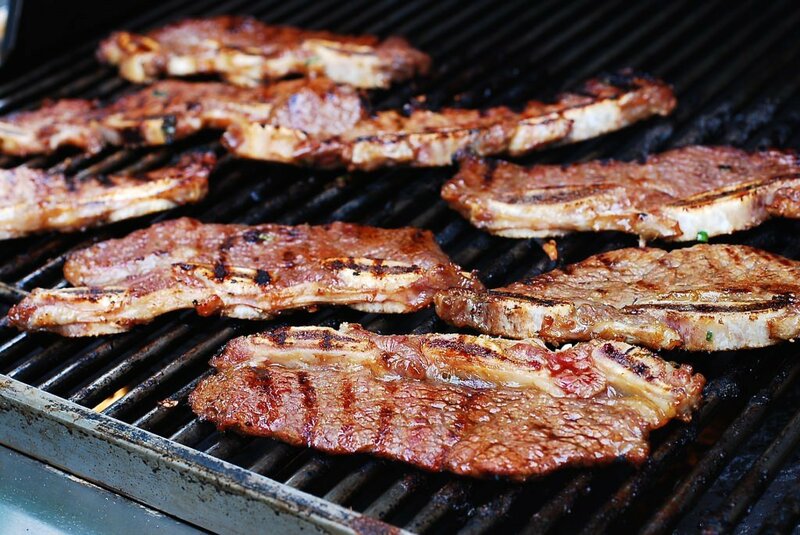 It’s best to grill LA galbi over charcoal or wood charcoal (sootbul, 숯불), but a gas grill or a grill pan over the stove top works well too. I often broil galbi in the oven as well. To broil galbi in the oven, set the oven to broil and preheat. Lay the meat in a single layer in a broiling pan and place it on the top rack of the oven, usually about 6 inches below the broiler. Cook until the ribs are slightly charred and caramelized, 5 to 6 minutes. Flip them over and cook for an additional 3 – 4 minutes. Watch closely not to burn them. Which side dishes shall I serve along with my LA Galbi? 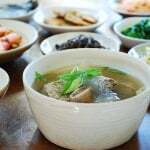 Aside from rice, any of the traditional side dishes (banchan) on my site will do, but pickled dishes complement the meat especially well as their acidity enhance the meat’s umami. Try my Cucumber Kimchi, my Bok Choi Kimchi Salad , or my Green Onion Kimchi. 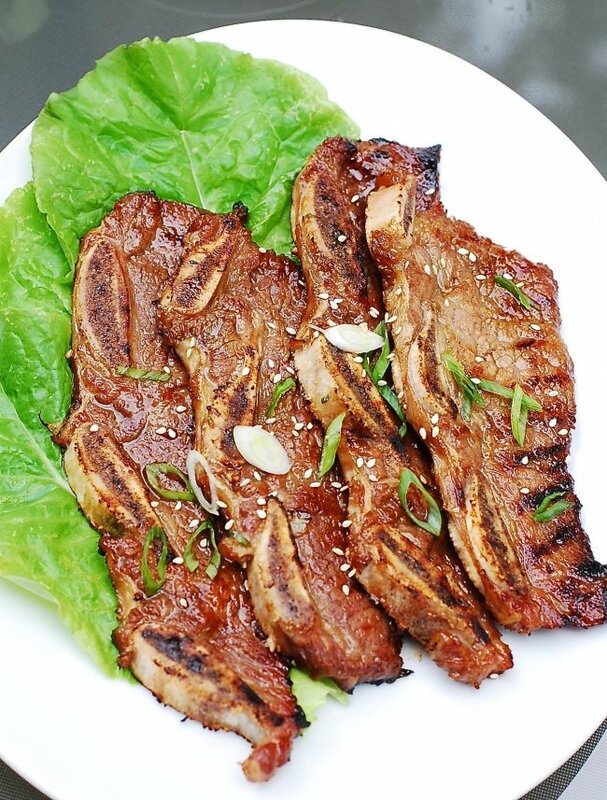 Did you make and love this LA galbi recipe? Please rate the recipe below by either clicking the stars in the recipe card or with a comment! And make sure to share your creations by tagging me on Instagram! Stay in touch by following me on Pinterest, Twitter, Facebook, and Instagram. 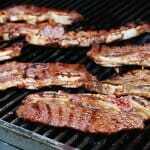 Make the best LA Galbi (Korean BBQ short ribs) at home using my tried-and-tested recipe for the perfect galbi marinade. It’s best to grill the marinated beef short ribs over charcoal, but a gas grill or a grill pan heated on the stove top works well too. Rinse the ribs to wash off bone dust, and drain well. Pound the meat lightly with a meat tenderizer, or stretch it out with your hands. This step helps tenderize the meat, but you can skip it if you want. Mix all marinade ingredients well. Marinate the meat for 6 – 8 hours (overnight for best results). The thicker the meat, the longer you’ll want to marinate. To broil galbi in the oven, set the oven to broil and preheat. Lay the meat in a single layer on a broiling pan and place it on the top rack of the oven, usually about 6 inches below the broiler. 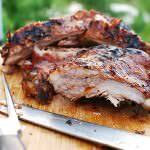 Cook until the ribs are slightly charred and caramelized, 5 to 6 minutes. Flip them over and cook for an additional 3 – 4 minutes. Watch closely not to burn them. Hi Hyosun! These short ribs look so juicy and tasty, the photos have done them justice 🙂 I’ve been looking around for these short ribs at the butcher, though have yet to find them. 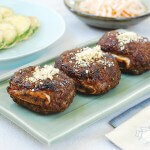 These will be great for bbq with summer coming up! Hi Tara – Yes you can. Either one is fine. Thanks for trying it out! The ribs! I could eat a heaped plateful 🙂 Thanks for the information about the two types of cuts. You’re welcome! Hope you and your husband enjoy many of my recipes. Oh by the way, this is off topic but when I watch Korean drama/variety shows, I sometimes see people eating brown eggs usually on trains or at the sauna. They look like boiled eggs but they’re brown after peeling. How are they cooked? Ah so that’s how it’s made. Interesting. Thank you for the info. I definitely try out this recipe. 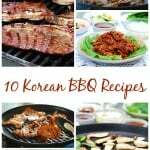 I love galbi and usually buy Korean BBQ galbi sauce but now with this recipe, I can make it from scratch. Wow! I will update you how my galbi turns out. I always buy the LA galbi cut, which is more tasty and authentic than the English cut. Thank you very much for sharing the recipe. Anne – I’m so glad to hear you’ll make you own marinade. It’s very easy and will be much more fresh and tasty! Enjoy! I made this twice. The first time turned out great as I used it right away. Second time, I froze the marinade in advance and it wasn’t as tasty. Do you not recommend freezing the marinade? Do you know if this marinade would be good on chicken? 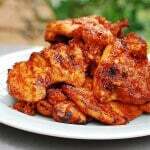 This marinade is also good on chicken and pork..I’ve tried both but beef is still the best match. My kids loved it everytime I cook it. Thanks for a great recipe. You’re welcome! I’m thrilled to hear your kids love it. Happy cooking! Regarding marination: do you marinate overnight in th refrigerator or in the freezer? If in the refrigerator, what’s the maximum number of hours can it stay in refrigerator only? Marinate in the refrigerator. It should be okay for up to 2 days. That’s awesome! Thanks for letting me know. Lol..I always thought LA meant lateral not Los Angeles! 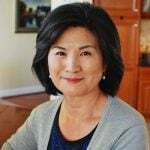 I’m Korean, originally from LA! I have 3-4 lbs of thinly sliced chuck roast…I would like to use this recipe, but do you think it would work for the type of meat that I have? Yes it will, but if it’s thinly sliced, you’d be better off to use the bulgogi recipe: http://www.koreanbapsang.com/2010/05/bulgogi-korean-bbq-beef.html. Enjoy! My grand mother and mother have used this cut of meat for their okinawan(recipe) bbq ribs since the 1940’s maybe earlier. We simply called it bbq short ribs growing up. “lateral cut kalbi” if anything? They are all soooooo good! This marinade is delicious! Thank you! Will make these ribs often! Great to hear! Thank you for trying it out and for the feedback! 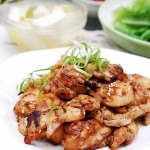 My korean born husband loves this recipe thank you so much I know he misses his traditional food since his mom passed and I’ve been trying to learn. So far I do a pretty good bulgoki, japchae and kimchi-chigang (sp) but now this too thanks again!! aww that’s awesome! Thanks for letting me know and for the rating! Hope you find many more recipes you and your husband. Your La Galbi is the best… just loved the flavor. Aww so happy to hear that! Thank you so much for the great review! Thank you for this recipe. Since an Asian grocery store just opened in my town, I can get the right cut of meat plus some really good kimchi to serve too. I’m making it for the second time tonight. It’s such a big hit in my family. Thank you!!! Happy to hear that! Thank you for using my recipes and taking the time to write me the feedback! If you’re using the all purpose marinade, what should you add to it and how much marinade should I use? Can I double and freeze half? Hi Christine – I explained it in the all purpose marinade post. Yes, you can freeze the ribs, but the marinated meat may not taste as good as freshly made.